The ClearO3 water purifying system is the perfect addition to any new or existing pool for the cleanest water possible. 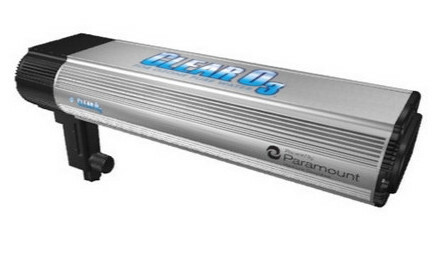 The cylindrical chamber of the Paramount ClearO3 system is optimized for maximum ozone generation and is sealed to minimize ozone leakage so it effectively adds more ozone with less airflow to the pump. Adding a ClearO3 system to a pool adds a cleaning process similar to the process for purifying bottled water, and also reduces the demand for pool chemicals by up to 70%. The ClearO3 uses a powerful UV light system, where ozone is created from oxygen the same way it is formed in the atmosphere. 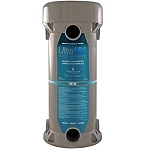 This ozone is then used as a pure oxidizer for the swimming pool. The ClearO3 acts as a continuous chemical free shock to provide the cleanest and clearest water possible.